Forex market players comprise two groups: active and passive. Active market players include central and commercial banks, and major brokers. They are also called market makers. Passive market players are called market users: they can only use market services and cannot set prices. Major banks make a massive impact on markets by selling and buying huge volumes of currency. Central banks are regulatory authorities which set key interest rates. In some cases they are entitled to perform exchange market interventions to weaken or strengthen a national currency. The most part of currency operations is convened by commercial banks at their own expense and for the account of their customers. Market makers quote currency rates for other market players. They own hefty assets and directly influence the rate-making. Market makers include the following banks: Deutsche Bank, Mizuho Bank, Barclays Bank, PBS, Citi Bank, Chase Manhattan Bank, and Union Bank of Switzerland, etc. Export and import companies are market players as well. They use international exchange mechanisms in their business activities and are both major providers and consumers of foreign currencies. Insurance and investment funds manage asset portfolios, provide hedging (protect positions from potential losses), and make profit from purchase and sale of assets. Brokers are mediators providing customers with access to foreign exchange market (Forex). They contribute to trading between sellers and buyers. Carrying out activities in the name and on behalf of their customers, brokers set a certain commission for these activities. 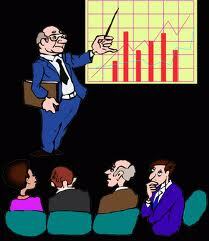 Major brokers may perform as market makers and provide their customers with trading at low cost. Assisted by brokers, private investors carry out profit-seeking activities by investing funds in Forex and exchanging currencies. Therefore, passive market participants have to abide by the rules of the game set by active market players. 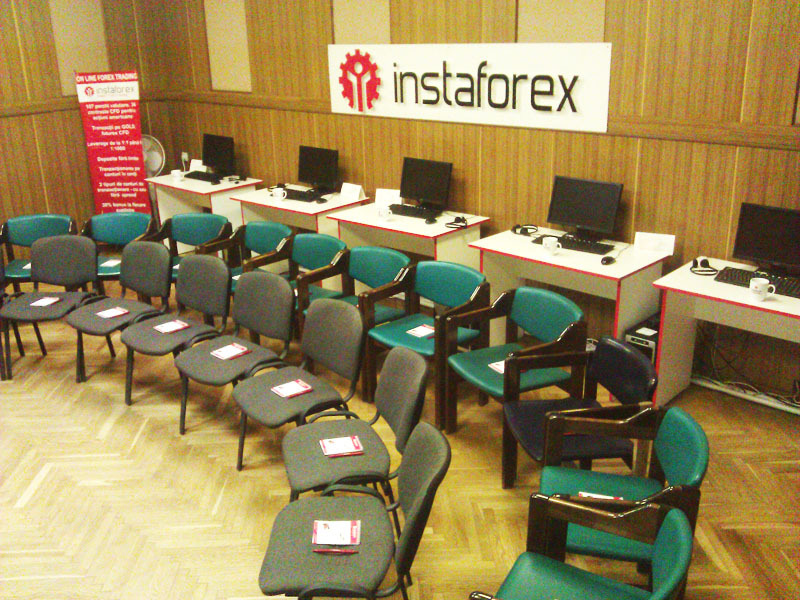 On a recent day InstaForex Company branch in Moldova held a presentation workshop, where trading on Forex market was put at issue with its advantages and risks. By the way, Moldavian representative office is equipped with the cutting edge computer technology, high-speed Internet allowing to run professional seminars in Russian as well as Romanian language. Last seminar about 30 Romanian and Russian traders took part. 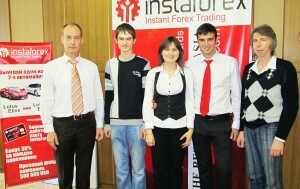 The workshop was held by InstaForex Company managers: Sergey Lavrik and Alina Shompol. In the first part of the seminar Sergey Lavrik reported on Forex market and its operating principles. Alina Shompol picked up the slack introducing InstaForex Company to the participants, laying special emphasis on terms and work benefits with this broker. The second part of workshop covered the issue of Forex market fundamental analysis based on analytics placed on the main company’s website. Despite the seriousness of the questions discussed, the meeting atmosphere was quite friendly which ended by a tea-drinking with the company’s “brand name” cake. 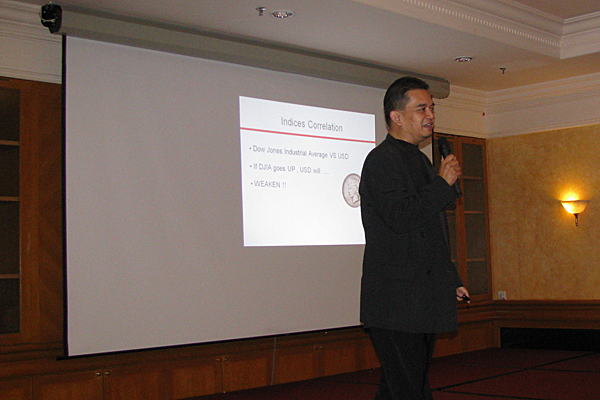 This is the third time InstaFX Education Centre holds a seminar. We chose the town of Wonosobo from the three we visited. The residents of Wonosobo are potential to increase their investments in various fields including Forex trading. Wonosobo’s public euphoria of Forex field is quite large. This is evident from the participants of the seminar amounted to 150 people, the exciting number for us as for organizers. 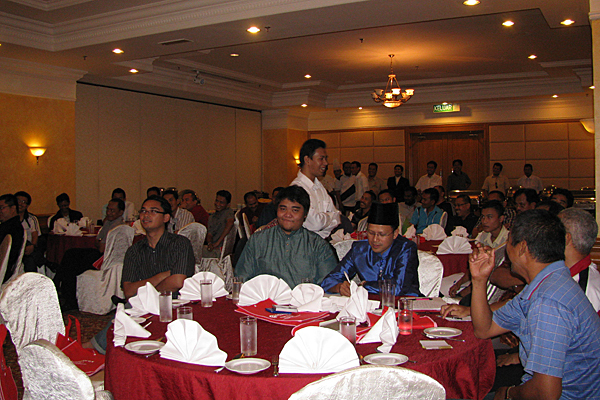 The seminar of 24 April 2011 was attended by people of various professions and walks of life, such as businessmen, civil servants, private employees, students, mothers and even households. The seminar was divided into 3 sessions, the first session was delivered by Mr Agung who gave a seminar on “Introduction to Forex”, the second session was presented by Mr Abiyanto who presented the speech on “Beware Of Scams Impersonate Forex”, and the last session was delivered by Mr. Danis Linggar P who held a seminar on “Introduction to Education Centre and the introduction InstaFX School Website”. 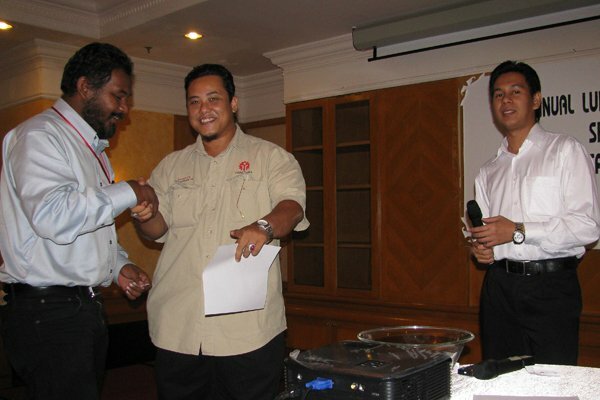 That seminar took approximately 4 hours, in addition to our seminar organizers provided the opportunity for participants to attend a workshop that will benefit on 12-13 May 2011. This seminar helped us to gain the insight into the audience and make them open vanishing the negative impression about Forex.